NOTE: These are not deployed from OVF with the VMXNET3 interface so for giggles be sure to remove the current interface and add a new one that is using VMXNET3 specifically by checking the “Show Network Adapter Type” box. 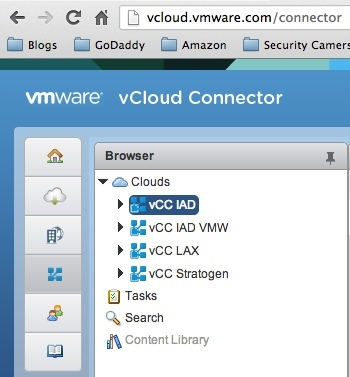 Now something I was messing with was getting the vCloud Connector Server connected to the local vCloud Connector Node. 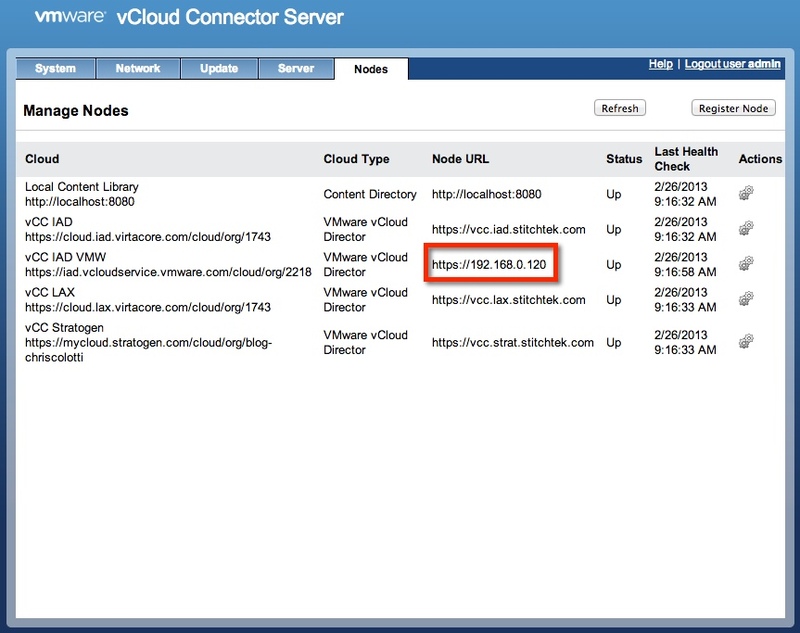 Due to the Edge Gateway I could not use the external IP on in the vCloud Connector Server config as you can see below. 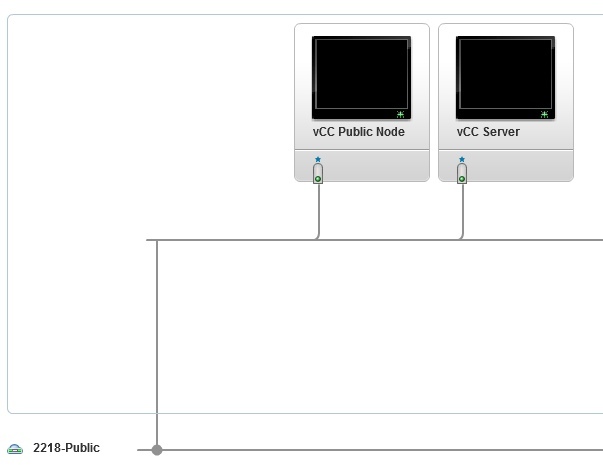 I needed to use the local IP for the Node that’s in the same vCloud Director Cloud and in the same vApp as shown above. I think there was some routing issue but it does not really matter since the Node and the Server are in the same network you can use the local IP address or local DNS for the connection. The other nodes you can see are true external entries. Etc/hosts entry would fix your local node connection problem, Now you will also need to mark the node as non public so the transfers are in the pull mode (external nodes cannot originate the connection to it).